OTTAWA, ON – Ottawa Valley Clothing Co. has announced the launch of a beer-themed charity shirt to raise funds for Tysen’s Mission to a Million, an organization that is aiming to raise $1 million for Make-A-Wish Eastern Ontario. 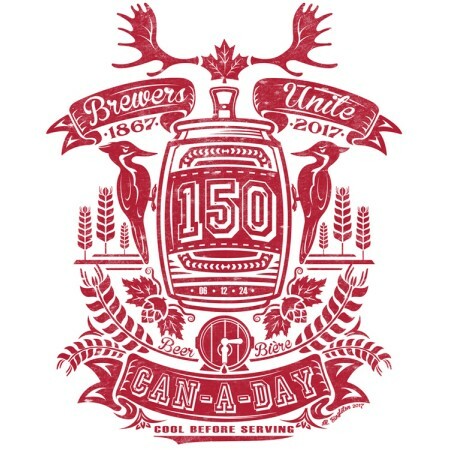 The CAN-A-DAY 150 shirt features a coat-of-arms style design on the front, and the names of 150 different breweries from coast to coast listed on the back. The shirt is available to order via Tees For The People in a variety of sizes and styles, with $1 from each short sold set to be donated to Tysen’s Mission. For more details, see the CAN-A-DAY 150 campaign webpage.